A failing local bank, Amcore Bank, NA, entered a motion to appoint a Receiver for the purpose of preserving the asset value of a 6-story, brick and timber loft office building in the River North district of downtown Chicago. The asset went into foreclosure due to the costs related to the departure of a large tenant. 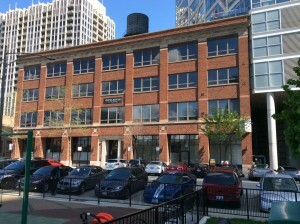 The Property entered Receivership under the jurisdiction of the Chancery Division of the Circuit Court of Cook County for the purpose of: 1) collecting rents to fund operations, 2) leasing of vacant space, 3) conducting necessary repairs and tenant improvements, and 4) appealing unusually high Real Estate Taxes. The borrower filed a Chapter 11 bankruptcy petition, and the Receiver continued his duties under the jurisdiction of the US Bankruptcy Court, Northern District of Illinois. Erie Playce is a 60,000 square foot, multi-tenant, office building, situated on a 10,150 sf site. A 99-year lease on 15 parking spaces in an adjacent parking structure is included in the loan collateral. The Property is located in a high-density, newly redeveloped neighborhood with many amenities. Occupancy was less than 70% at the time of foreclosure. The tenant mix included local, regional and national tenants. The Property was less than 70% occupied at the time of the appointment. The Receiver oversaw and approved leases that brought the occupancy level to 100%. The Receiver oversaw, approved, and obtained lien waivers for the installation of a new roof and tenant improvements related to the new leases. The Receiver engaged legal counsel and oversaw a successful Real Estate Tax appeal that resulted in an annual payment reduction of $60,000 for a 2-year period, a $120,000 actual cash savings. The Borrower filed bankruptcy prior to judgment of foreclosure. The Lender agreed to the DIP Chapter 11 filing, if the Borrower agreed to a Receiver collecting the rents, holding all funds, and conducting the accounting. John Suzuki remained the Receiver as the case transitioned from Chancery Court to US Bankruptcy Court. Collateral Trustee has resolved over 30 cases in recent years, with loan values exceeding $150 million in Chicago and many of its surrounding jurisdictions. We provide full receivership and asset management services for assets ranging from $500,000 to over $60 million.